Sunplank® is our latest innovation in clever flooring. Remarkably, it can be used in any room in the home because Sunplank® is waterproof, sun and fade proof and exceptionally hard wearing. 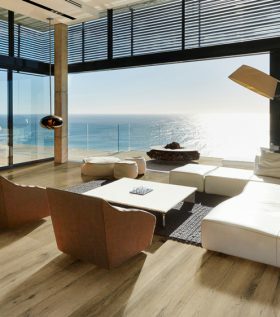 The on-trend oak designs give the natural look of timber, but without the many drawbacks of fading, warping and swelling under normal Australasian climatic conditions. Sunplank® is manufactured with a solid-core that keeps each plank stable and remaining flat by pushing against each other. 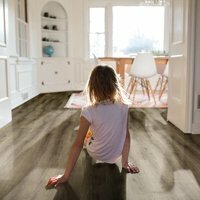 Under the same conditions, traditional and flexible LVT planks start to peak under heat and real timber fades and shrinks. 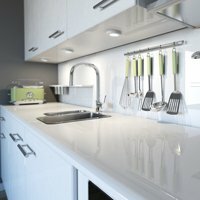 The added Sunplank® advantage is that it is waterproof and suitable for use in bathrooms, laundries and kitchens, giving your home a unified flow from one area to another. Sunplank® features a multi-layer Quartz enhanced PUR coating that provides exceptional resistance to heavy foot traffic, indents, scratches and scuffs, making it ideal for the busiest family homes and their pets. The extra dense rigid, solid-core of Sunplank® is the key to its extraordinary performance. Free of harmful content, the core is made of up to 80% natural limestone, rendering it extra stable and extra sound absorbent too. Sunplank® has inbuilt underlay for added acoustic performance, making it a great choice for second storey homes and multi-rise apartments to minimise noise below. Sunplank® remains flat and stable under 80°C testing, ensuring that it will perform in large, sun-exposed areas of your home. You can now relax and let the sun shine in! 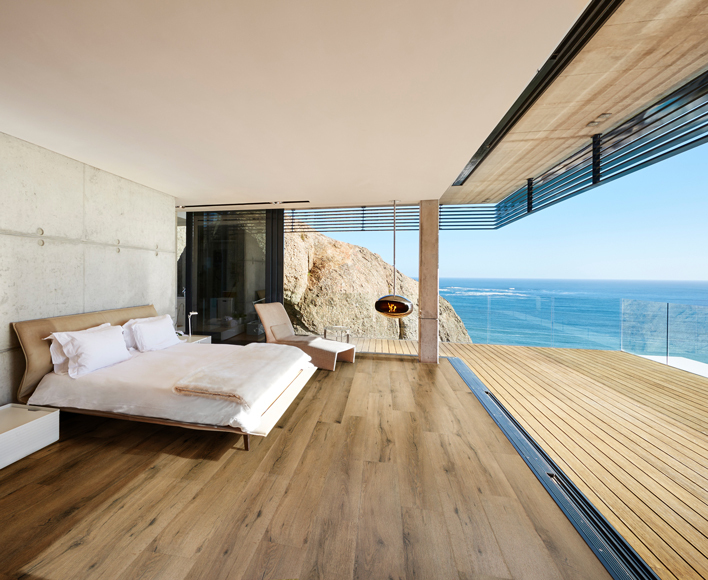 7mm thick Sunplank® is joined also by 4mm thick Sunlite™ – a lighter alternative featuring the same sun, fade and water-proof performance on a lighter, more affordable solid-core plank. 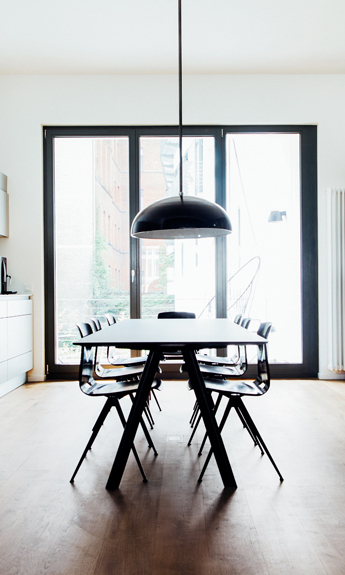 SUNPLANK® LETS THE SUNSHINE IN! Sunplank® is sun and fade proof. Sunplank® is designed to withstand the effects of harsh sunlight. 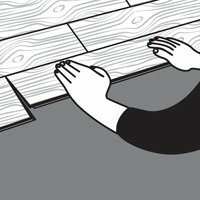 Your floor will not lift or warp under the most extreme conditions. It also won’t fade, ensuring that your floor colour is consistent across the entire room – even with the largest glass windows and doors. The unique construction and manufacture of Sunplank® provides a tight lock on installation, creating a waterproof barrier and can be used in all wet-areas in the home. Sunplank® is easy to install. The rigid, solid core of Sunplank® enables a fast and easy installation. It can install on areas up to 400m2 without visually distracting transition gaps. Using the Tight Lock install method (floating floor), Sunplank® instantly is ready to walk on when the job is done. No waiting, or messy cleanup involved. The brilliance of Sunplank® innovation also means that you can install directly over chipboard, existing tiles and other floors without any ‘telegraphing’ – show through of the floor contours below. Sunplank® is available in different designs, lengths and weights to answer your individual needs. 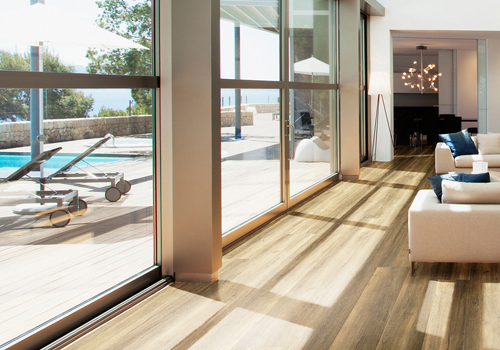 XXL 1.8m long planks provide a more luxurious result and certainly make a room or corridor appear larger and longer. Sunlite™ is the lighter version of Sunplank® offering many of the same sun, water and fade-proof benefits, but with a lighter, thinner board for more affordable installations. The slightly lighter and thinner board makes Sunlite™ an excellent choice when sound absorbency or very heavy traffic is not a consideration. 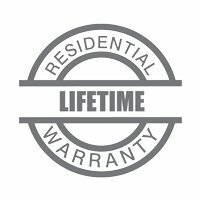 You can be confident with Signature’s Lifetime Warranty for residential use. For Commercial installations of Sunplank®, Signature also offers an impressive 15 year Warranty.